463.00 sqft. - 997.00 sqft. Ekadanth Avighna is an upcoming housing project at Maraimalai Nagar in Chennai, being developed by Ekadanth Homes. Keeping in mind the needs of modern lifestyle of residents, the project provides various amenities. Ekadanth Avighna encompasses amenities such as . ATMS, medical facilities, education institutions, and parks are within easy reach. The area is also well-connected by bus and road network. Maraimalai Nagar is a rapidly developing suburb situated in Chennai. Maraimalai Nagar and its surrounding areas are referred to as "New Chennai" due to booming industrial development in and around this area. This satellite town houses many heavy industries, while renowned brands like Ford India and BMW car factories are located within a mile of Maraimalai Nagar. The Indian software giant Infosys also has an office within few kilometres of Maraimalai Nagar. The neighborhood is served by the Maraimalai Nagar railway station of the Chennai Suburban Railway Network. Maraimalai Nagar also houses central bus stand, upgraded primary health care facility [GOVNT] and several higher secondary schools. The suburb is close to SRM University and its group of institutions which are located in Potheri, another developing region in the neck of the woods. It is becoming one of the largest residential areas between Tambaram and Chengalpet owing to the IT companies in and around Maraimalai Nagar like Accenture, Ford, Mahindra World City and SEZ. 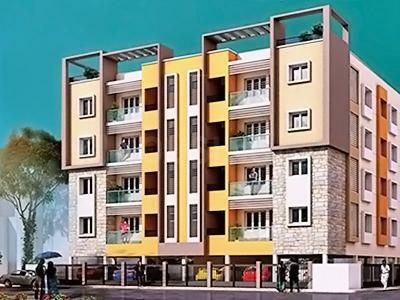 Ekadanth Homes came into being with an aim of making goodwill and reputation in the real estate world. 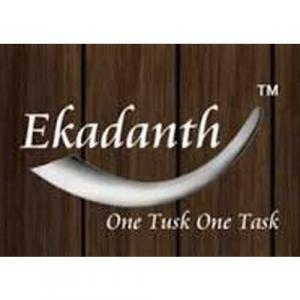 Ekadanth Homes is a name to reckon with. They have a proud history of delivering projects on time and as per promised specifications. Their main focus is to achieve customer’s trust which has become their winning mantra. They plan and build keeping in mind their customer’s needs. They aim to create efficient, best quality, landmark buildings to fulfill needs of society. The company provides a client centric, end-to-end portfolio of services through complete communication that promises to deliver homes that was only envisaged once.